Margaret Mitchell-Jones is a corporate communications and public relations leader who has decades of direct company communications experience as well as agency expertise in her portfolio. She has 30-years experience developing highly measurable and award-winning external campaigns, employee engagement initiatives and crisis communications programs in education, cyber & Fed IT, international trade, energy and aerospace and defense industries. 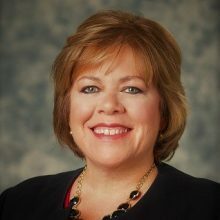 Her specialty is as a change agent skilled at reputation management, branding and communications transformation to support business goals and objectives. She has strong expertise developing communications programs that help companies manage regulatory, legislative and other complex business issues. Margaret has a Bachelor of Arts (BA) degree in Government & Foreign Affairs from the University of Virginia, Charlottesville, VA and has done advanced studies at the Stern School of Business (New York University). She is also an honoree and graduate of the LeadVirginia program.